Like all major global law firms, Shearman & Sterling has had its reverses in recent years, albeit a few more than most. The fundamental question that has dogged the firm in Wall Street, London and Germany, is whether this proud US outfit is prepared to move quickly and decisively enough to convincingly get past those setbacks. No more Taylor Who? Flair and a bit of vision take Taylor Wessing to next step but what now? There’s no doubt chief executive David Kerr has overseen a rapid extension of Bird & Bird’s international reach, with additions ranging from a major takeover in Australia, to acquisitions in Denmark, and associations around the Asia-Pacific region. But for Kerr – re-elected in March for another three-year term after spending two decades as chief executive – a new priority is consolidating and tightening the firm’s focus as it comes off a flat 12 months in a crowded mid-market. ‘We’ll be the first to admit the firm of five years ago wasn’t delivering what the partners wanted,’ says Fieldfisher managing partner Michael Chissick. 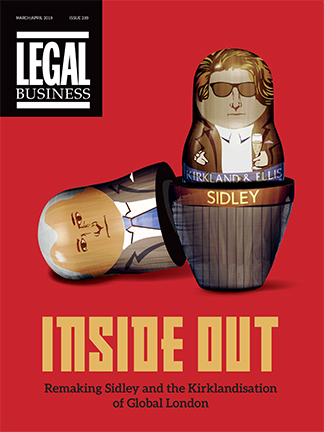 In 2012, Legal Business took a close look at Field Fisher Waterhouse and at the time the mid-market law firm was desperate for a suitor. Three years, two failed merger talks and several high-profile partner exits later, and Fieldfisher has undergone a reboot far beyond its change of name. After over three months of intensive due diligence that saw Slater & Gordon (S&G) reconstruct the accounts of Quindell’s Professional Services Division (PSD) following accusations of dubious accounting, both sides agreed a £637m deal, which is expected to close this month, that will see S&G acquire the division and bolster its share of the UK’s highly competitive £2.5bn personal injury (PI) market. 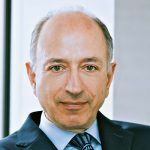 With Norton Rose Fulbright (NRF)’s eye-catching union now over a year old, the top ten UK firm has achieved the enviable feat of creating, through a succession of global bolt-ons, a 3,800-lawyer firm with $1.9bn in revenue, almost without fallout. Its 138-fee-earner (excluding trainees) City dispute resolution practice is something of an exception, having lost a handful of its star players, including Dorian Drew, adviser to ex-Barclays’ chief executive Bob Diamond on the Libor scandal, who last year left for Clifford Chance. Sarah Downey reports on the property leader’s attempts to position itself. With its five-year financial performance standing out as one of the worst of the top 50 in last year’s LB100 and at least one abandoned merger talk under its belt, Nabarro is perceived by a number of clients and rivals as a firm in need of change. Heavily dependent on a mixture of high-end but also commoditised property work, the firm has dropped down the UK legal rankings from its 2008 high, when it stood in 23rd place on the back of a revenue increase of 16% to £142.4m.